How happy one could feel to be a citizen of the free world: free to travel across our own borders with governments who respected our personal liberty not only in this context. In a speech which would later become closely associated with the dramatic events of two years later, US President Ronald Reagan took an opportunity in 1987 to remind of the West’s values: “We welcome change and openness; for we believe that freedom and security go together, that the advance of human liberty can only strengthen the cause of world peace. There is one sign the Soviets can make that would be unmistakable, that would advance dramatically the cause of freedom and peace. General Secretary Gorbachev, if you seek peace, if you seek prosperity for the Soviet Union and Eastern Europe, if you seek liberalisation, come here to this gate. Mr. Gorbachev, open this gate. Mr. Gorbachev, tear down this wall!” The idea was clear: restrictions to human liberty, especially when as draconian as the Wall, were a hindrance to world peace. Twenty years later we witness events of apparently utopian dimensions; some of the most bitterly defended borders in the world over which two world wars were fought, including those between the former Eastern and Western blocks, are disappearing. Far more than just the Wall has crumbled. The magic word is Schengen, a multi-national treaty, now incorporated into the acquis of the EU, which provides for freedom of passage by requiring its signatories to bring down border controls. An average traveller can now drive from Cracow, Poland, to Lisbon, Portugal, without noticing a border (when in fact at least 5 are passed). Even countries traditionally suspicious of international co-operation like Switzerland are set to participate in this revolution. The result would be an area of 3.6 million square kilometres, in which 400 million citizens can move freely without checks across borders. If advancing human liberty strengthens world peace, it would seem like Europeans are certainly doing their part. The background of this development is the integration taking place within the context of the European Communities, now a Union. This supra-national conglomeration has developed from a free trade agreement to stand fundamentally upon the base of the so-called four freedoms: free movement of goods, persons, capital and services within the now 27 member states. European integration is driven by commercially motivated mobility. This has developed so far that citizens who become residents in another member state will receive the same voting rights as locals for certain elections. 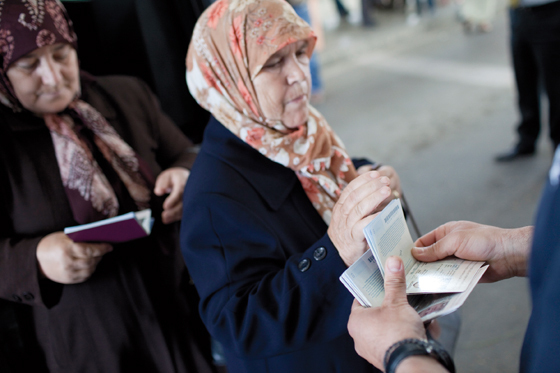 Traditional concepts such as borders and arguably even citizenship are vanishing. Walls, borders, boundaries and all matter standing in the way of freedom within this context are apparently a thing of the past. Recent years have also witnessed increasing worries pertaining to the benefits that the fundamental freedom of mobility brings to those with illegitimate interests. The energetically voiced concerns that criminal justice systems (which inevitably reside within their traditional borders) are being left behind have led to traditional walls beginning to crumble even in this context. Measures such as the European arrest warrant, the principle of availability of data amongst member states, criminal justice system institutions and common databases such as Eurodac and the Schengen Information System are being used to overcome the boundaries laid down by traditional concepts of sovereignty. Whilst the EU’s attitude to physical borders between its member states seems to consider them as a hindrance, this stance however cannot be taken as true when it is dealing with the borders separating it from non-EU states. Recent years have seen a shift in attitude, now clearly viewing the territorial edges of the Union as the common external border, and one which should separate. The latest border package clearly demonstrates that the EU deems it essential to categorise those crossing its borders, differentiating between entrees with legitimate interests from those with illegitimate ones. EU and non-EU citizens are worlds apart in this context. One might venture that a new, if different, wall is in place somewhat further east. Decisively a presumption applies to EU citizens that their movement is legitimate unless past behaviour indicates otherwise, whilst non-EU citizens are per se to be treated as having potentially illegitimate interests until they have proved themselves to be of desirable character. Third country nationals who regularly visit the EU and display a number of positive features (no overstays, adequate finance, biometric passport and successful visa applications) can gain the status of low-risk “registered travellers.” Despite its declared aim to benefit such travellers, the border package appears above all to categorize them negatively, only to allow them to be filtered out and then spared the negative consequences ensuing. 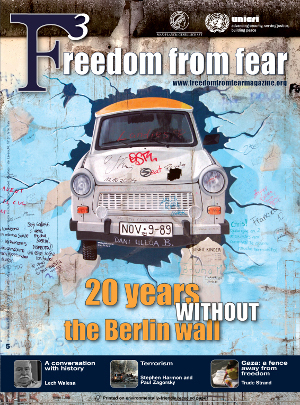 Whilst it is not denied that the EU has legitimate reasons to control who enters its territory, it seems appropriate (as we remember the joy of the fall of a dominant boundary marked by the Wall, and our celebration of the ensuing advance of freedom) that we review how our attitudes to walls may have shifted as the shadow thrown by such draconian walls is no longer upon Europe. There can be no question that we should celebrate the fall of the Wall, but in doing so we might remember that it also served us as a warning of what borders and walls could mean and held all that was positive about our world clearly before our eyes. Smart Borders around the Fortress Europe? The development of a well-protected, prosperous united Union has long been associated with the negative potential for a “fortress Europe” excluding those beyond the external borders. The European Council on Refugees and Exiles has expressed strong concerns in relation to the European border package, questioning whether it ignores the right to asylum, thereby breaching international law. The Council has pointed out that asylum applications in EU member states are at their lowest level for the past 20 years; moreover, asylum seekers tend to be forced to enter the EU illegally through other, more perilous, immigration flows, interjecting that the border packages “prevent most refugees from physically reaching the EU.” In relation to the external Union borders, the walls of Europe have been hardened and our willingness to help those most in need, i.e. to use freedom to contribute to world peace, has apparently lessened. Much of the development described within the EU is, of course, about technological progress and how such advances increase capacities in our daily lives. The apparent vanishing of borders is, in certain respects, merely a superficial impression: whilst manned physical border posts in roads, walls, wires and the visible manifestations of borders may be vanishing, they are, at least partially, being replaced by modern alternatives, such as surveillance and dataveillance, movement sensors, biometric recognition software, infra-red technology (used outside the EU to determine the body temperature of those arriving, by which anyone with a raised temperature becomes subject to medical tests decisive for their access across the border), etc. Data analysis of those known to be entering and softer border zones in which border guards operate (also on a neighbouring territory), may result in borders being less visible for many, but also being more intelligent than their predecessors. One might try to imagine what the border guards between the former East and West might have made of such equipment; the barbed wire and the dog runs of the Iron Curtain are not to be trivialised, but they certainly seem different through the eyes of modern technology. Borders and walls are thankfully, visibly becoming a thing of the past for most European citizens, but we may be in danger of forgetting that their disappearance is often conditional. They are becoming invisible in particular to those who are willing to provide data for pre-clearance and to submit themselves to screening so that they can be categorized as legitimate travellers for whom borders should be no hindrance. If one is not lucky enough to qualify for such preferential treatment, the barriers are still very much in place, no matter how great one’s need may be. Border policy in the EU is unquestionably developing to become an integrated part of a risk-assessment based security strategy. We have those who belong: they are categorised as posing no risk, they are welcome in our societies, and for them borders appear to almost cease to exist. Then there are those of whom we are not certain: they will be subjected to more or less bothersome checks, for them borders will retain their more traditional image of a required stop, subjecting oneself to control and to being allowed to pass at the sovereign’s discretion. Finally there are those who are not welcome: they are labelled as threatening or unwanted and for them the border is going to be harder, stronger and more omnipresent than any concrete wall could ever be. The disturbing and frightening reality is that this negatively categorised mass includes those that Europe should be helping in order to advance world peace. Doubtlessly the looming presence of the physical Wall (whose falling we celebrate) was a physical manifestation which caused us to stop and think; today possibly to reflect with regret. Perhaps our celebration should also mark an opportunity to contemplate what we have done with our preciously won freedom. Is our wall-less Europe really advancing human liberty and, with it, world peace? * Mariane Wade is Senior Researcher, European Criminal Law Section, Max Planck Institute for Foreign and International Criminal Law, Freiburg, Germany.